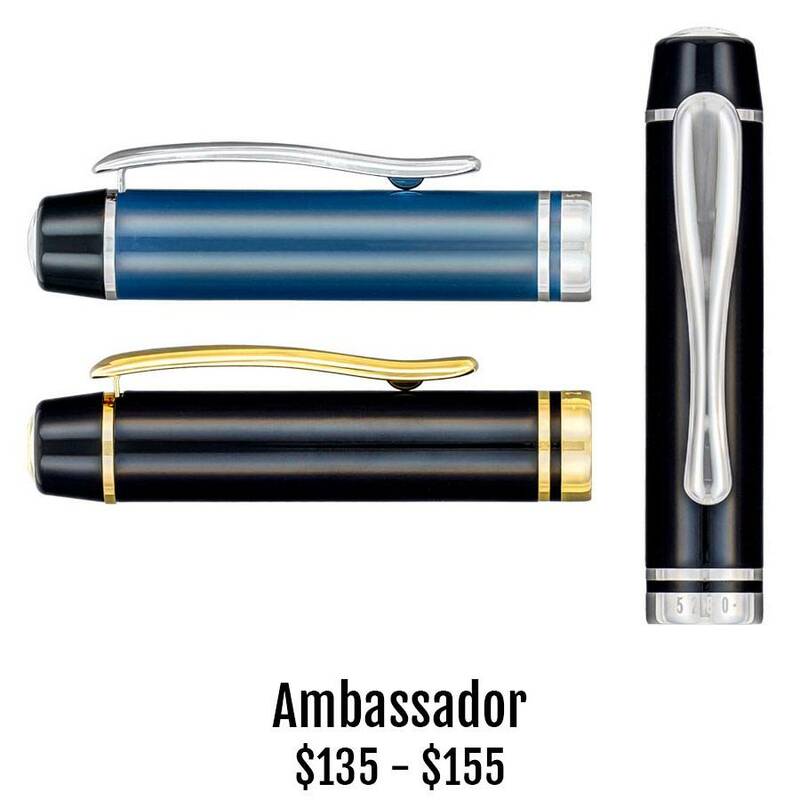 Each time you take your 5280 Ambassador pen in hand you feel like the first time you put on a tux or evening gown. But feel free to dress any way you'd like when writing with this elegant fountain pen, rollerball or ballpoint. Traditional shiny black lacquer is trimmed in silver rhodium or gold plating. The new blue lacquer models are trimmed in silver. Fountain pens have a medium point, steel nib, coated to match the trim. Both two-piece models have a click on cap and the one-piece ballpoint deploys with a twist. Feel like you're ready for a night on the town with the 5280 Ambassador collection.